Google Earth has just announced an update of imagery which includes new views of Plymouth which do seem really up to date. As it takes a week or two for the new images to make it to Google Maps there is the opportunity to view a few parts of Plymouth to see how much has changed. 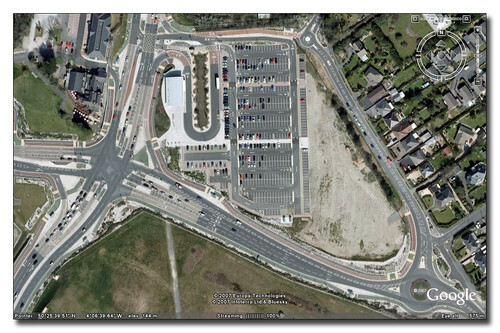 We start off with The George Park and Ride. 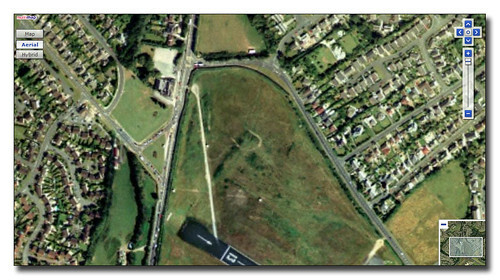 This really is a 'before' image coming from Multimap which is identical to the images used by Microsoft in Visual Earth at the moment. The site is still very much the green field site. Google Maps now and we see construction of the site is well underway. 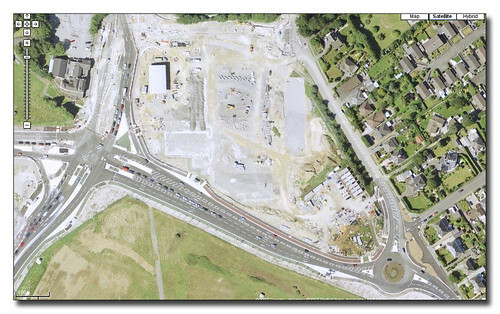 The road junction is pretty much in place but the Park and Ride site itself is still a building site. Finally the latest image from Google Earth. All up and running and even a Park and Ride Enviro sitting at the unloading stop! Notice The George Hotel also has a few new buildings on site too. Have a look at my fly over of Plymouth i did back in the summer , i took over hundred pics of the city sadly only a few i`ve posted ..